My mother's parents Dr. Robert and Isa Fitch were second generation U.S. Presbyterian missionaries stationed in China from 1898 through World War II. They dedicated their lives to the Chinese people; their specialty was education. My mother grew up in China along with her 3 siblings. Robert was a passionate amateur photographer with good artistic instincts and a keen eye for scenes rarely witnessed at that time in the West. He was also a minister, religious scholar, educator, college founder, lecturer, writer, and - above all - great humanitarian. He used his photographs to raise money for his mission. They are exquisite and timeless. Over the decades he lived in Hangzhou, and while traveling throughout China, Robert produced thousands of extraordinary photographs. Some 40 years ago, after both he and his second wife passed, I inherited his photographic collection of prints and negatives. I was dumbfounded and didn't know what to do with them, so I put them away in a closet. In 2006 I was contacted by a professor from Zhejiang University, who inquired about a book my mother had written about her life growing up in China. 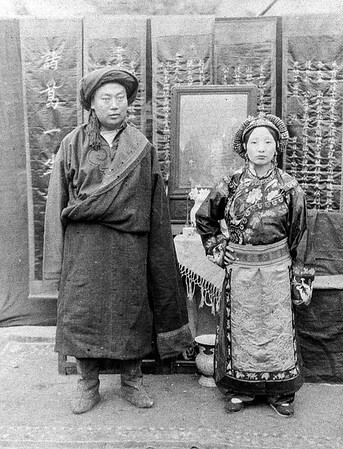 I mentioned that I had Robert's collection of photographs and he became excited, as his specialty was the history and impact of missionaries in China. A friendship quickly developed. I was inspired to scan Robert's entire collection of prints and negatives to share with my family and with my new friend. While I scanned his photos, which took several months, I got to know Robert better. I saw his remarkable ability to put people of vastly different backgrounds than his own at ease while he photographed them. He spoke several Chinese dialects fluently, and he surely had a kind and gentle approach. I saw his intense interest in people, temples, boats, bridges, and landscapes, and I saw his artistic eye that has been passed on to his family. Robert is my photography hero. I made the first presentation of Old China Photographs in 2007 as an invited guest to the Zhejiang University. The photographs were subsequently exhibited numerous times in Hangzhou and Shanghai by my friend. I returned to China in 2012 to present them at an international symposium of missionary work, again as a guest of the university. The photographs have also been presented at several private events and camera clubs.